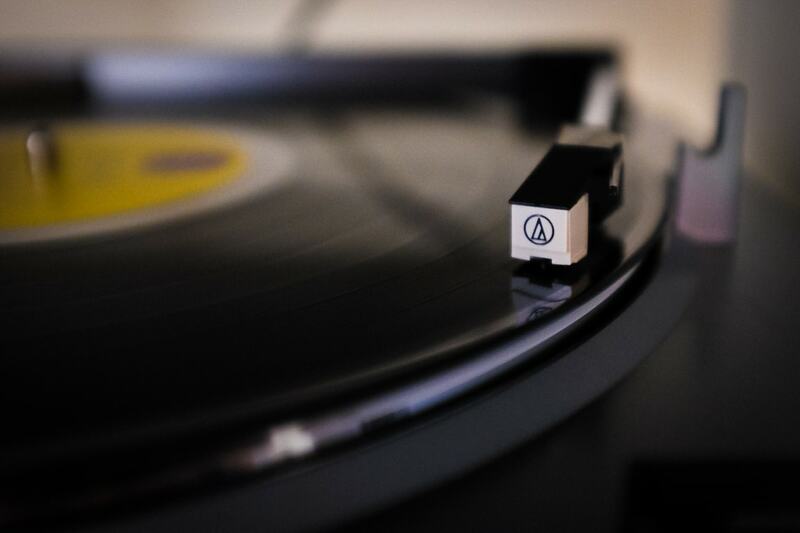 Yesterday I set up my new turntable: an Audio Technica AT-LP60 unit. It’s a simple turntable, but works well, plays both 33 and 45 RPM, has fully automatic operation, and was priced right, at $89 on sale. I had to take the cover off because it sits on a middle shelf in our media center and there’s not enough room to open it. That means putting a record on is a little tight, but not difficult. And since the control buttons are on the front of the unit, it’s super easy to operate once the record is on the platter. 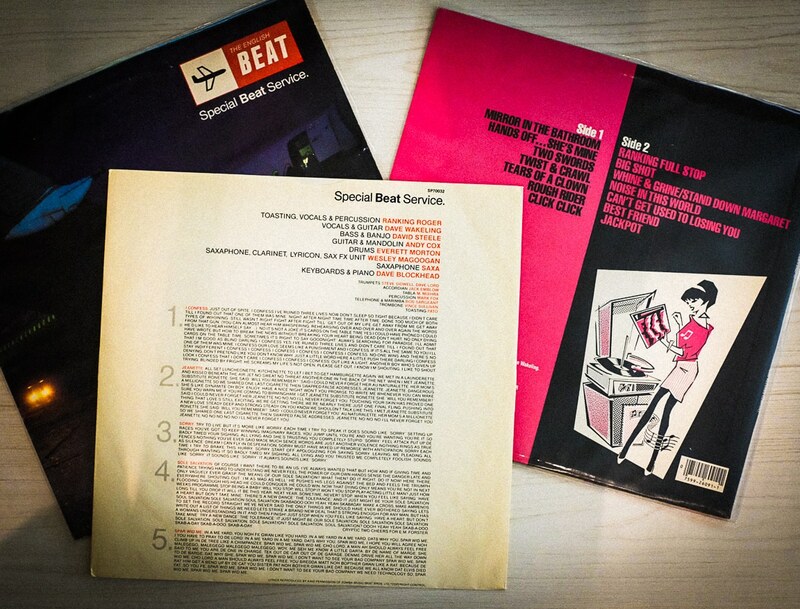 Over vacation, Bay and I visited Record Recycler in Torrance and I found a couple classics from The English Beat: Special Beat Service, and I Just Can’t Stop It. And they were only $14 for both! It is so great to crank up the stereo and listen to some vinyl once again. The sound is so warm and inviting. Plus the liner notes on the sleeve… I love it! I have a crate of old records back at my parents’ house and I am contemplating a road trip to go pick them up. It would be worth it for sure. I loved Special Beat Service! It’s been years since I listened to it. And on vinyl! So fun.